As well as personally benefitting from cycling from work, there are environmental benefits including less congestion and less pollution through lower emissions and reduced noise. 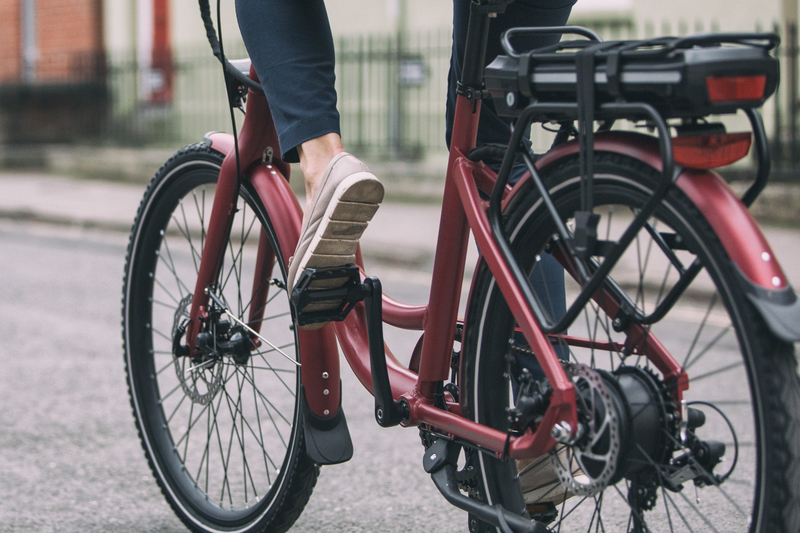 Getting your new bike is simple and we have produced a step-by-step guide to show you how the scheme works and what you can expect at each stage. But below we’ve highlighted some of the key points for you. Let’s be upfront. To get the tax break, HMRC rules mean you will actually be hiring a bike through Green Commute Initiative Ltd (GCI). GCI is authorised and regulated by the Financial Conduct Authority which is why GCI is the only scheme not restricted to the usual £1,000 limit. The bike is yours to use and keep and at the end of the scheme we’ll follow HMRC rules so the ownership can pass to you. Unlike other schemes there’s no sting in the tail to transfer ownership to you. Other schemes charge as much as 7% of the bike value! That’s a big hit to your tax-break savings. Firstly, you choose your new bike and any accessories you might need. We call this the ‘package,’ which you tailor-make to meet your requirements. Our specialist bike shops can help and advise you. The package you put together will obviously contain a bike but you can also include safety equipment, clothing, tools and spares. Once you’ve chosen your package and have a price from one of our registered bike shops, you need to enter that information onto our website; either through our Instant GCI form, or if your organisation is registered, through our Corporate GCI page. If you’re using Instant GCI, a Pro-forma invoice is generated for a GCI voucher to cover the cost of the package. You need to take this pro-forma to your HR department so payment can be made. If you are using Corporate GCI, your request will be sent to your HR department for approval and payment for a GCI voucher to cover the cost of the package. Since your employer has paid us for the voucher, you’ll need to reimburse them and this is the clever bit. They reduce your gross (before tax) pay by the value of the voucher. This is called salary sacrifice and it means you don’t pay tax and NI on the amount of salary you sacrifice. Depending on your tax rate, you’ll save either 32%, 42% or 47% on the cost of the package. You can normally choose a 6, 12, 18 or 24-month repayment period; it’s up to your employer how long it will be for. Have a chat with them to reach a timescale you both like. Remember, due to HMRC rules we must hire the bike to you. Our hire agreements are always for 12 months. We would love to give you the bike at the end of the 12 months hire but if we do, HMRC will make a benefit in kind charge based on 25% of the new value of the bike. So, more clever stuff, we make you a free-of-charge loan of everything for five years. This means you continue to benefit from the tax break with no penalties from HMRC. After five years you can buy the bike from us for £1. We only charge the £1 so that we can demonstrate to HMRC when the transaction took place to protect you from any claim from them. In practice the bike is yours to do as you wish from day one and you can enter into additional or new GCI schemes at any time. So, to recap, your organisation pays for the package on your behalf and then you repay them by accepting a reduced salary in exchange for the benefit of the package. Since your salary is reduced you’re not paying tax on the cost of the package. So, you’re benefitting from the Government’s green transport plan and you’re helping us all by reducing pollution, congestion and your helping to make a little bit of the world a better place. You really can afford a good quality bike and reap the benefits that cycling to work brings. Find out how much you can save using our online calculator. As mentioned above, your package will, of course, include a bicycle, and by that we mean anything defined as a bicycle under the Road Traffic Act. So that’s a yes to conventional bikes, electric bikes, cargo bikes etc but a no to scooters, mopeds, motorbikes or anything that just isn’t a bicycle. Bikes with more than two wheels will normally be allowed, so trikes and cargo bikes are OK. Our registered bike shops can advise you on this. 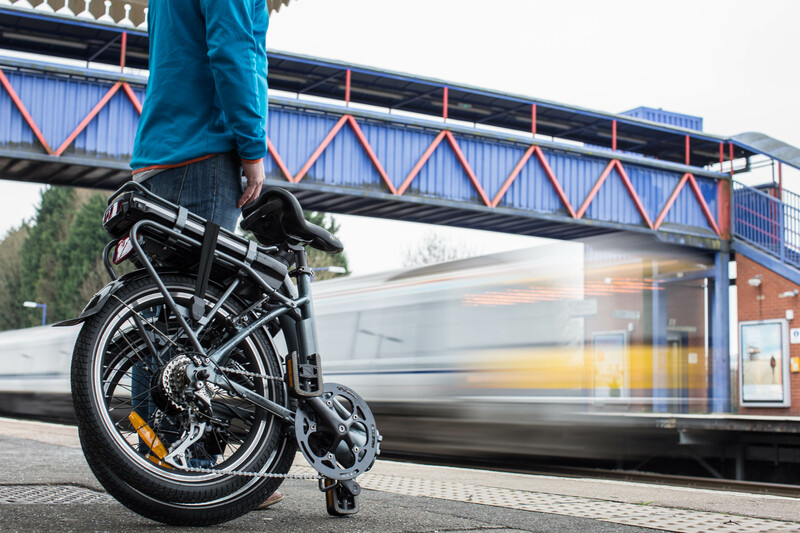 You should note that the bike must be from a reputable brand, approved for the UK and, if they are electric, comply with the government’s rules on E-bikes. Again, your local bike shop can help you out on this. As mentioned above, you can add accessories and safety equipment to your package and this includes racks, child seats, locks, lights, helmets, and clothing. Don’t go too mad though; HMRC suggest a common-sense approach. You also can’t have anything such as a dongle which removes any speed restrictions from an e-bike, because then it’s a moped, not a bicycle. That breaks the rules. Whilst you can tailor-make your package, the final decision as whether it’s a suitable package for the scheme is down to Green Commute Initiative. So, what are you waiting for? Have a chat with your HR department and then get down to your local bike shop to build your package. Cycling to work will take you in the right direction.